Mortal Kombat is in full focus and on the cover of this monther's RETRO Videogame Magazine! The all-fighting game issue is stringing together a combo of feature stories designed to work the body of the Mortal Kombat franchise, from past to Mortal Kombat X present! Klassic kombatants and a new generation of warriors enter the battle in Mortal Kombat X! Amazon.com has unleashed a new wave of character renders and mini-bios for the playable roster. Learn more as D'Vorah enters the spotlight! 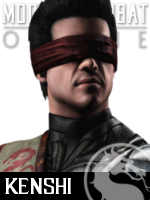 The press is gonna have a field day with this: Johnny Cage returns in an exclusive Mortal Kombat X preview posted by ComicVine. It seems the action star turned world saver has earned himself the title of Raiden's Champion after surviving the events of Mortal Kombat (2011). 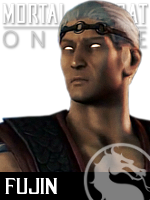 Now he and Sonya Blade are in Outworld searching for their kidnapped daughter - and their target is Kotal Kahn!